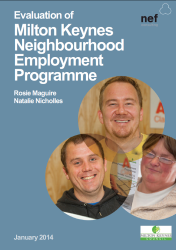 The Neighbourhood Employment Programme (NEP) is a locally developed initiative, designed to support residents into work through tailored support on skills development at job clubs. 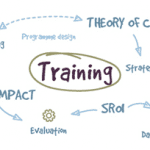 The NEP draws on expertise from within the Regeneration Team at Milton Keynes Council, Adult Continuing Education (ACE), Milton Keynes College, Job Centre Plus, MK Mind, IXION and other community agencies. 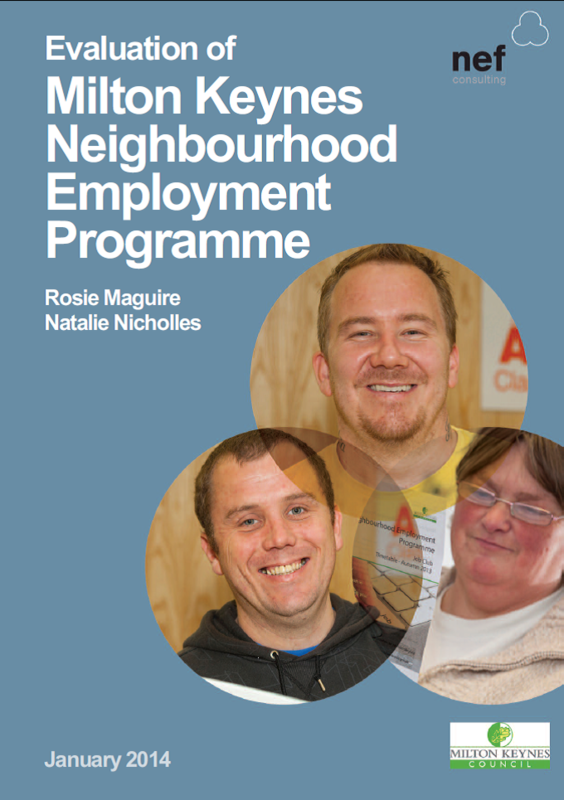 The NEP is designed to engage unemployed individuals who live across twenty-two regeneration areas in Milton Keynes. This report presents the results of a one-year evaluation of the NEP. The aims of the research were to understand the effectiveness of the NEP as a means of improving access to employment; to assess the appropriateness of the design of the NEP; and to evaluate the impact of the NEP. The research was informed by primary data collected from job club participants, clients who have moved into work and NEP partners. The results were analysed according to key outcomes for clients and the State, with a value-for-money assessment. 20% increase in their confidence in how to look for, apply and get ready for work. 42% change in confidence in using computers. 20% increase in self-esteem and a 21% increase in their sense of purpose. Clients attributed a high level of their success in getting ready to find work, to the job clubs. Overall, clients were very happy with the support and found the job clubs and advisers to be beneficial to their journey to employment. 77% said they were now on permanent (65%) or fixed term contracts (12%). 65% reported being satisfied with their work: 12% ‘extremely satisfied’. 76% were satisfied with their work/life balance. The design of the service gives advisers the opportunity to support each client an appropriate speed, complementing local statutory provision. The impact of the NEP was assessed in terms of clients and the State. The key outcomes were mapped for each group through a Theory of Change process, and socioeconomic analysis. It was found that by supporting over 280 clients into work, the estimated savings to the State to date is approximately £559,000 in terms of reducing the welfare bill and increasing tax revenue. Comparing this value to the funding of the NEP over 18 months gives a cost-benefit ratio of 1.86, showing a healthy return on the investment to date. For the clients, the impact is in two areas: the skills and welfare benefits of being supported through the job club, and the effects of moving into work. Download the Executive Summary Milton Keynes NEP Summary. Download the full Milton Keynes NEP report.